On Thursday, January 8th, the Solari Report team will publish our Annual Wrap Up, complete with an online Web Presentation with graphs and charts to help you assess and digest the richness of our topic. 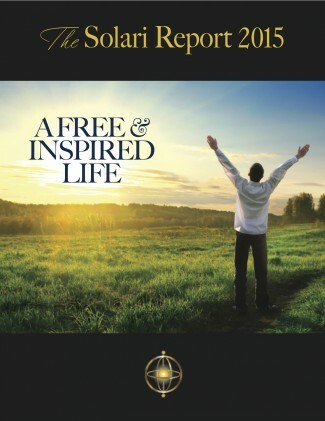 A Free and Inspired Life – our theme for 2015. Planet Equity – our choice for the “big trend” to highlight this year. The Most Important Stories of 2014 and the Deeper Trends – I look at critical drivers in our culture and economy that define your opportunities and risks. 2014 Financial Market Round Up – a review of performance in the global financial markets. 2015: Get Ready, Get Ready, Get Ready – let’s talk about scenarios and strategies for this coming year. Vision 2020 – The Solari Report team wants to support your free and inspired life: here are our plans for 2015. Best Books for 2015 – Some of our favorite picks to keep you in the know this year. And the Winners are… – announcing the Solari Report hero, documentary and movie of the year. Credits and Closing – The Solari Report draws from the best and the brightest – we want to remind you of who they are and how you can enjoy their offerings. This is a great way to start your year – with perspective!